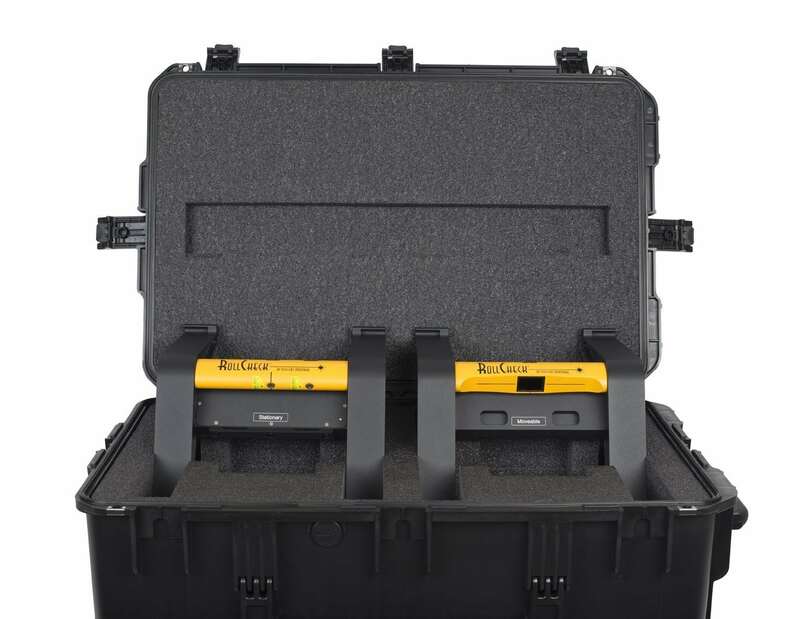 Using the latest in Green laser diode technology makes our green laser line 10x’s brighter to the operator than a red laser line. 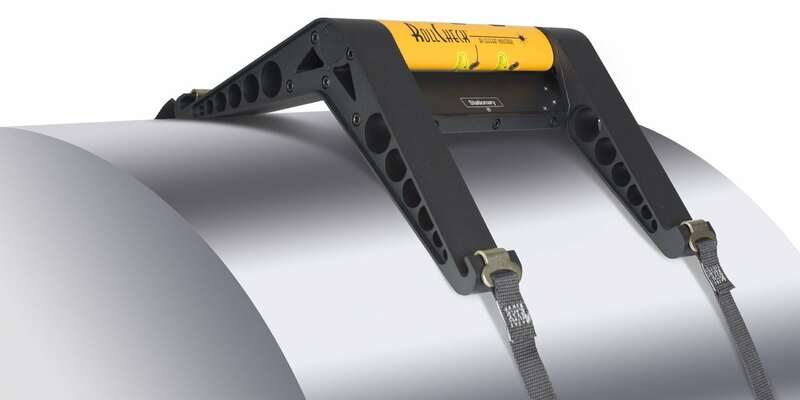 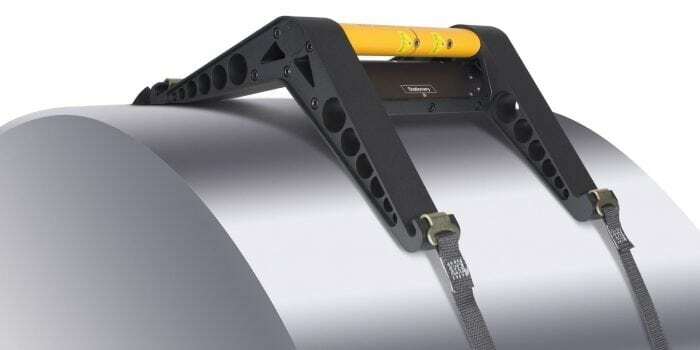 The RollCheck® Max can measure spans up to 10 ft. (3 m) or better from roll to roll of any size, large or small. A laser line is projected from the RollCheck® transmitter to the reflector mounted on the roll to be checked or aligned. 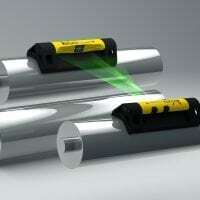 The laser line projected to the reference line on the reflector indicates immediately if the roll is aligned vertically to the stationary roll. 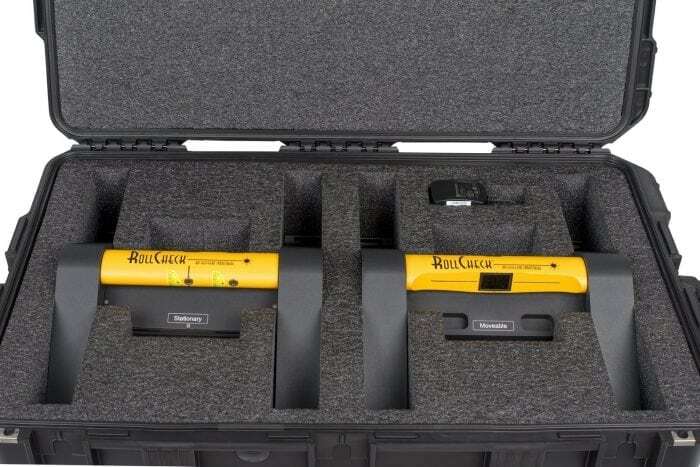 The laser line is then automatically reflected back to the transmitter’s reference line indicating if the rolls are parallel to one another. 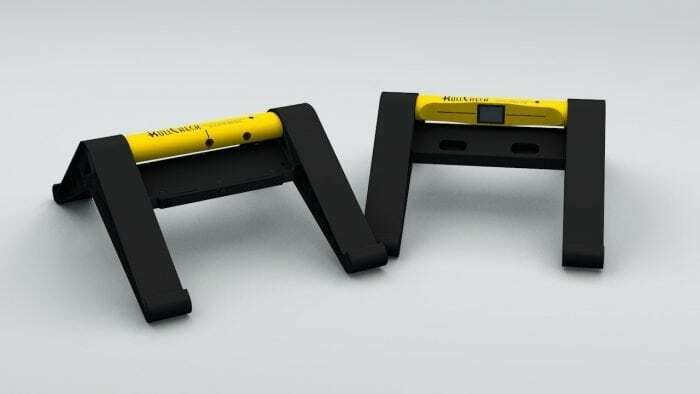 This system is very easy to use; a single person can perform the alignment task in minutes with no training! 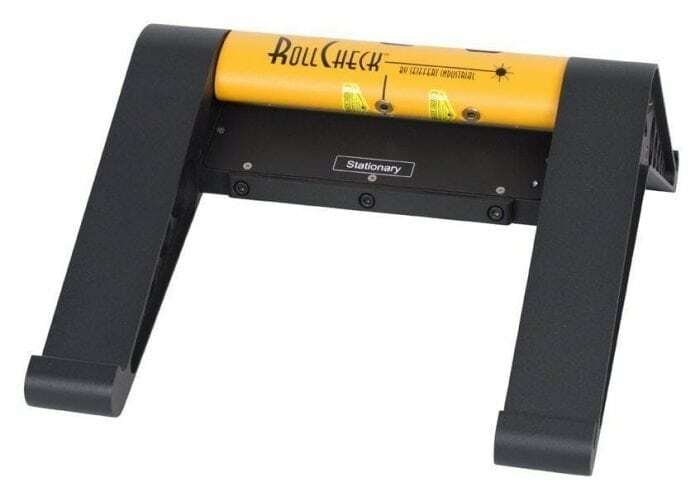 The RollCheck® Max comes in its own durable carrying case. 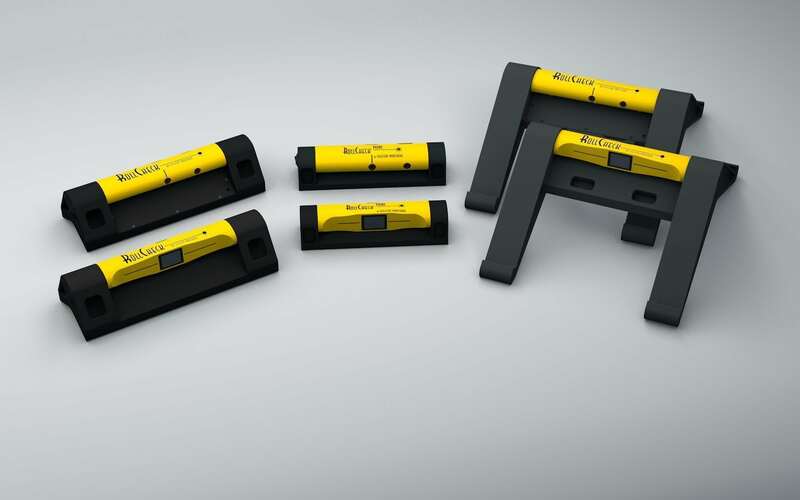 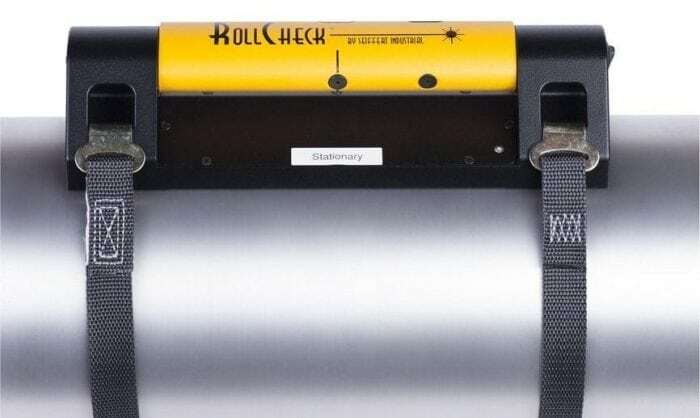 RollCheck® is a laser roll alignment tool that facilitates accurate visual alignment of process rolls during replacement operations. 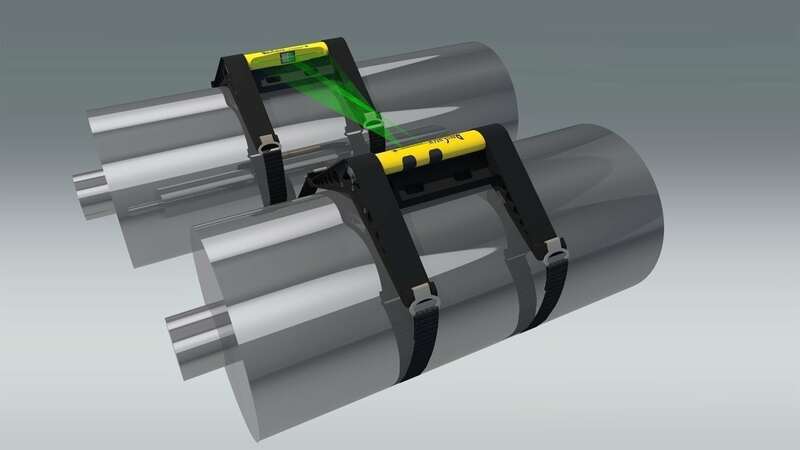 The Laser Transmitter is mounted to a stationary roll that transmits two green laser lines to the Reflector positioned on the roll to be moved. The operator then is able to view both the vertical (pitch) and horizontal (parallel) angles and accurately adjust the roll into parallel alignment. 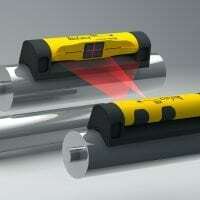 RollCheck® is suitable for aligning rolls of most diameters that are spaced from 6” (152 mm) to 10 ft. (3 m) or more apart. 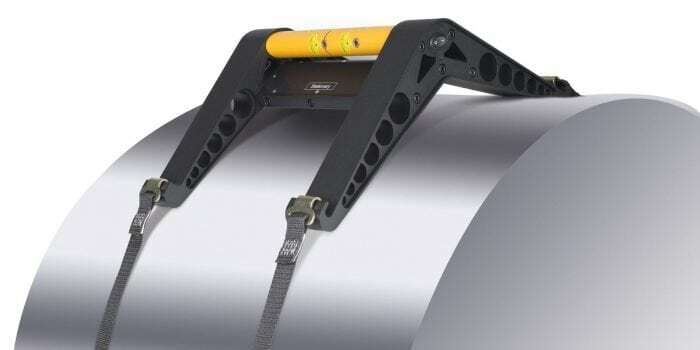 It also can be used to align and measure crowned rolls as well. 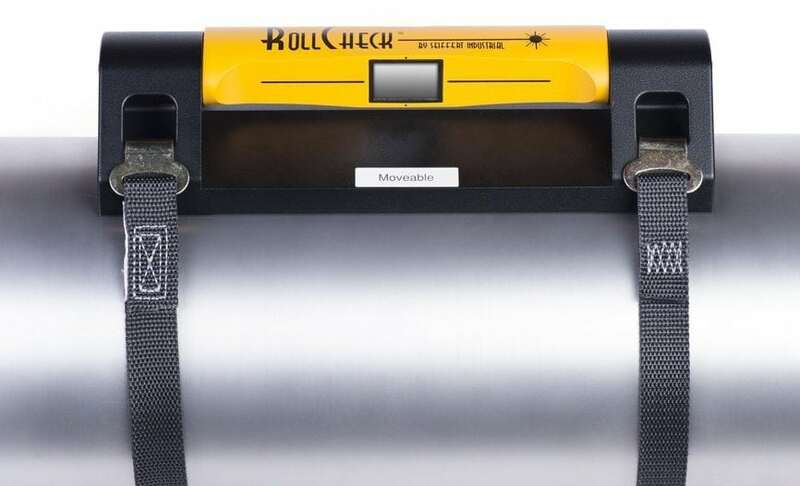 RollCheck® eliminates cumbersome trial and error adjustments which lead to scrap, loss of time and output reduction and is the ideal tool for efficient roll maintenance. 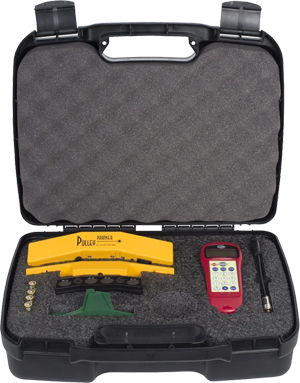 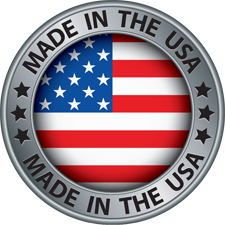 For more information about our laser pulley alignment and parallel roll alignment tools, please call us at 1-800-856-0129.